Letters-Free Stuff for Kids- No.4 Make Friends with the Coin Kid-REPLY. 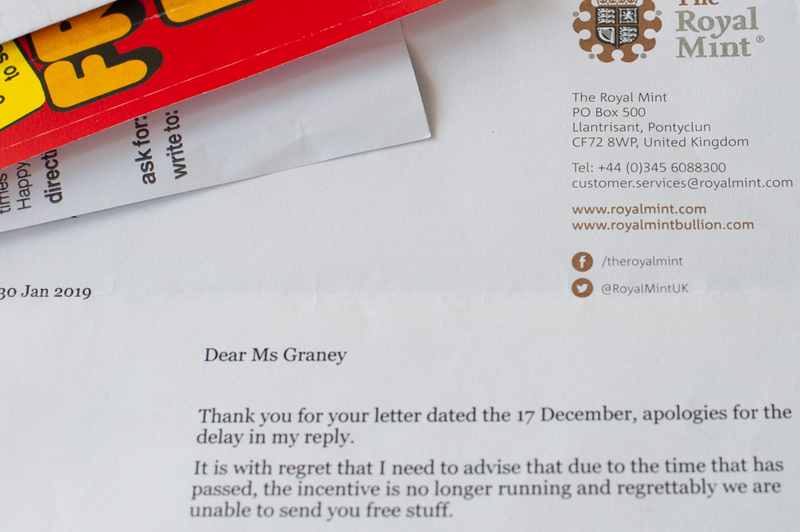 We have received a reply from the Royal Mint. 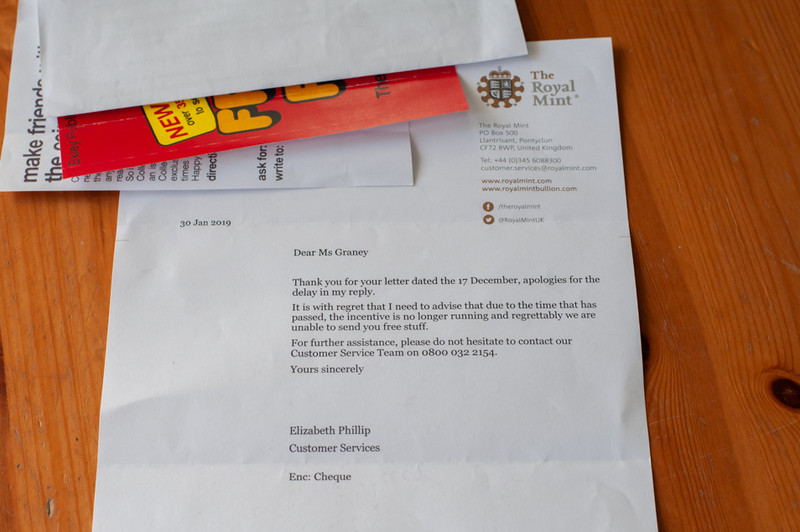 At first I kidded myself that there was a coin inside or maybe a small pamphlet but instead I received my letter and cheque back and that they are unable to send me free stuff. The woe is real and the cheque is now in the bin. I guess we will never make friends with the Coin Kid. Free Stuff For Kids-No.6-Hobby Horse Club.